The home-based support, in total security. With Weenect Silver it is easy to look after a loved one, either he’s at home or outside. In case of alerts, his GPS position is sent and it is possible to call him. Without any installation and distance limit. Weenect Silver is revolutionizing the remote assistance by creating the first mobile, economical and solidary remote assistance. Mobile because it’s the only remote assistance that works inside as well as outside. The person who lives alone wants to keep a normal live, full of autonomy, while reassuring his close relation. Be able to go out of his home, visit his friends, do his shopping or also consul his doctor. The elder is not dependant of any static installation, he just has to wear the tracker (25g) to make it work. Either he’s at home or far away, it works all the time. He can get in touch with all the people connected to his account by pressing the SOS button of the medallion that turns into a phone. The GPS position is also sent in order to allow a quick intervention. Economical because it is between 5 and 10 times cheaper than the classic remote assistance. The tracker is sold 149€ with a subscription from 3.5€/month, whereas the classic remote assistance is usually charged up to 50€/month. As many people who want can log in into the elder’s account, if needed they all can intervene. As is shown by the OCIRP report, 1 French out of 2 think that people in the situation of home-based support should be helped by his family every day. Solidary because instead of an impersonal call centre, it’s the elder’s circle of trust (family, friends, neighbours) who will look after him. How does it concretely work? In case of SOS button pressure (3 seconds) by the elder, his close relation receives the alert through the smartphone’s app connected to the medallion. A strong beep allows to confirm the alert’s sending. 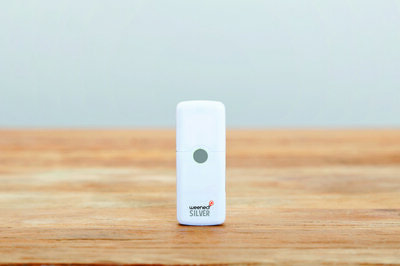 The first one who receives it can ask to be called, the tracker is equipped with a loudspeaker and a microphone. Once the call is made, all the relatives receive a confirmation saying the request has been treated and that the elder is fine. If nobody takes the call within 2 minutes following the SOS alert, then the call will be automatically transferred to the emergency services. 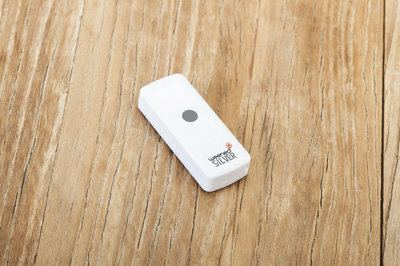 Furthermore, if the SOS button is pressed outside, the tracker transmits its GPS position at the same time as the alert. So it is easy to find the elder. Exclusively presented at the international Web Summit exhibition from the 7th to the 10th of November 2016.